Crikvenica | Where to Vacation? 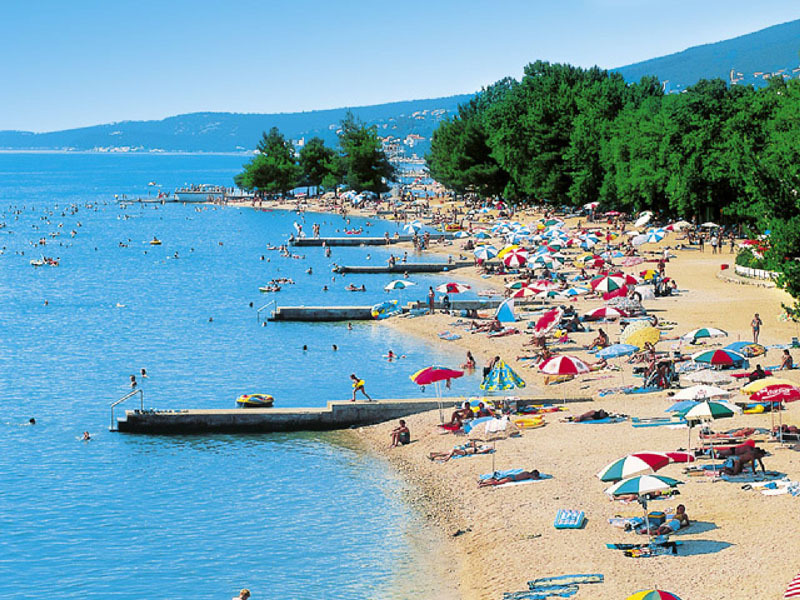 Crikvenica is situated in the Kvarner bay of the Adriatic Sea, at a distance of 33 km from Rijeka, a major road and railway junction at the centre of the district of Primorje and Gorski kotar, also home to Crikvenica. 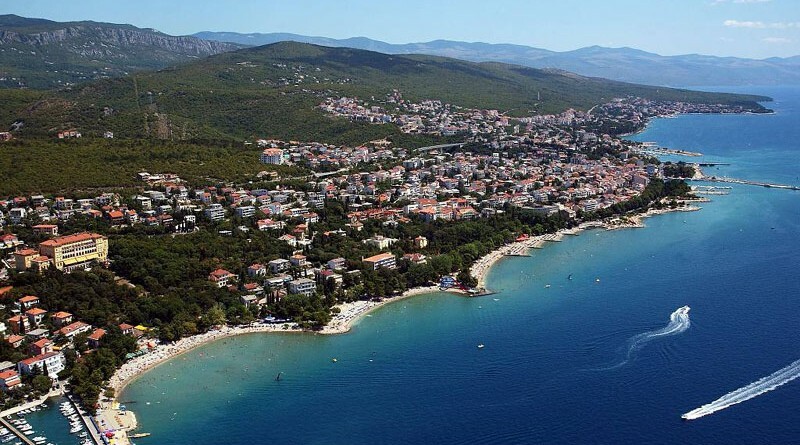 The entire town of Crikvenica is in fact a Riviera with a row of almost connected small tourist resorts: Selce, Crikvenica, Dramalj and Jadranovo. The town spreads about 28 square kilometres in the coastal zone, which is about 15 km long and about 2 km wide, and is situated between the sea and the elongated littoral reef at an average height of about 300 m above sea level. The nearby airport on the island Krk, the passenger and the cargo sea ports in Rijeka, as well as a good road and railway connection with Central Europe have contributed to the early development of tourism which has in the region of the present Riviera of Crikvenica a tradition of more than one hundred years. Bronze Age swords, spears, axes and jewellery have been found in various locations in the area of the city of Crikvenica. In the suburban areas still unaffected by urbanization, prehistoric graves and burial mounds are still often found. A series of fortified prehistoric villages have been discovered, dating from the Bronze and the beginning of the Iron Age, were found primarily on the tops of the hills that surround our city. At the mouth of the river Dubracine, which was even navigable up to today’s soccer field during ancient times, at the beginning of the new era existed as the settlement called Ad Turres. It was one of the key locations along the Roman road that went from Italy to Dalmatia. This station for the exchange of horses included a military post, which secured the travel route between the coast and the neighbouring valley, Vallis vinearieae, Vinodola. At one time in this place there was an important local workshop with furnaces for the production of clay objects. During a long peaceful period, without war, wealthy Romans built their villas and government buildings in the well-protected sea coves, with the relics of Selce and Jadranova found in the cove of Lokvisca bearing witness to this fact. The migration of Vizigota following 400 A.D. forced the local population to seek protection on the hilltops. The people of Ad Turres thus found sanctuary within the walls of the prehistoric fortress of Kotar (Kod tor). In the 8th century the beginnings of this Croatian settlement and those of Vinodol organized their parish, which was composed of independent municipalities. They contributed their spiritual and material culture to their new homeland, and their accomplishments are demonstrated by exquisite examples of jewellery and personal equipment found in the ancient Croatian fortress Stranče-Gorica not far from Crikvenica. They occupied themselves with agriculture, husbandry, and fishing, and from the local Roman population they borrowed the art of cultivating vineyards. Even the Latin name for fertile valley, Vallis vinearia, was translated into the Croatian language of Vinodol. The end of wartime activities made possible the resettlement of the coastal area. To the left of the mouth of the river Dubračina the small church, in honour of the Blessed Virgin Mary, was built. In addition, the Prince Nikola IV of Frankopan built a large structure in 1412 and gave it to the religious order of pavlina. This monastery marked the beginning of the foundation of Crikvenica, therefore the Prince Nikola of Frankopan may be considered to be its founder, and the Blessed Virgin Mary is considered to be its protector. Among the treasured gifts, which Nikola IV of Frankopan presented in Modrošu on the 14th of August 1412, was the oldest written poem by the name of Crikvenica, therefore this date in newer times has been declared the Day of the City of Crikvenica. 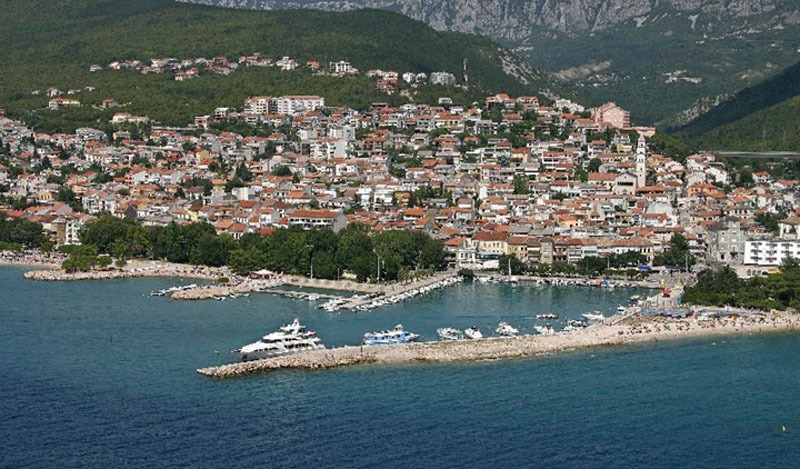 The history of seaside settlement, which includes the city of Crikvenica, Selce, Dramalj and Jadranova, is associated with the concurrent development of the neighbouring fertile valley of Vinodol and its fortified medieval cities Drivenika, Grižana and Bribira. Throughout the middle ages each of these cities had it’s own port and coastline, along which fishing communities sprouted up. A unique architectural style of stone houses developed, with vaulting and small courtyards encircled with high stonewalls. Narrow roads ran between neighbouring walls, kale, in which there was just enough space for two people to pass. Even today in some places one can find signs of skillful coastal masons and stonemasons who with their mastery most commonly made a living far from home. Centuries of Austrian and Hungarian rule left behind a noticeable “mitteleuropski” trace that is particularly noticeable in the hotel architecture. In this manner the first hotel of Crikvenica of the high duchess Clotide (today the pharmacy Jadran) was built, and it is especially pronounced in the hotel “Therapia”, the first large hotel of Crikvenica built in 1895, which was initially named Hotel Nadvojvode Josipa. 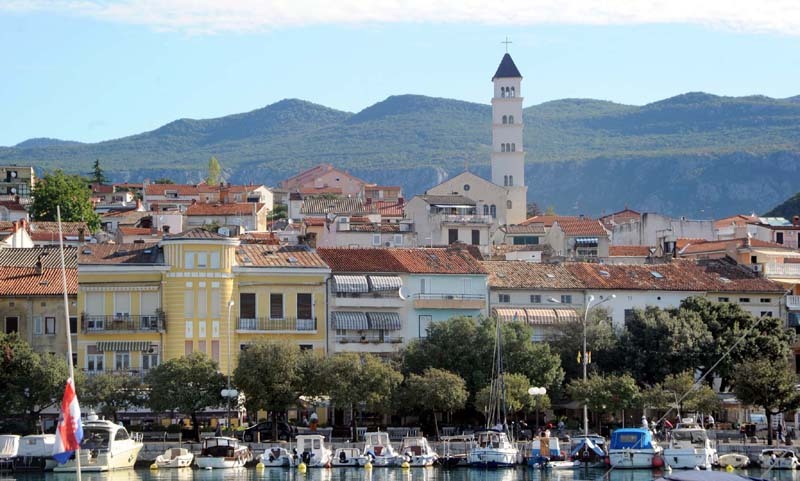 From season to season, royalty, film stars, and other people visit Crikvenica. Many of them, through contact and friendship with the local population, have left a part of themselves here, and have taken with them a small part of Crikvenica. That is why even today they return thirty to forty times in a row to take their holiday vacations. 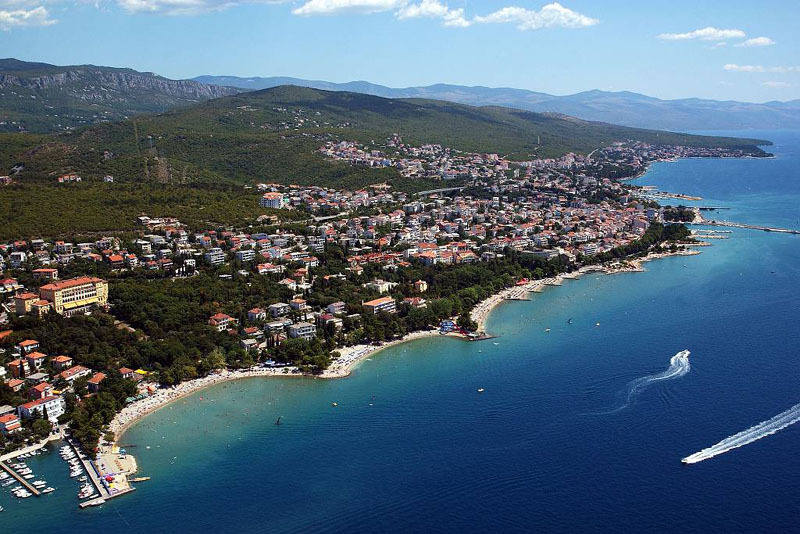 Crikvenica is within easy reach for travelers arriving from the Central Europe. It is located on the Croatian coast of the Adriatic, known as Hrvatsko primorje (Croatian Littoral), in the most beautiful part of the Kvarner Bay, just 35 kilometers from the city of Rijeka, the capital Primorska-goranska County. Rijeka is the major traffic hub and the largest Croatian port, which makes it maritime gateway for entire the Central Croatia and a considerable part of the Central Europe. Crikvenica is easily reached by roads from anywhere in Europe within a day. You can also reach Crikvenica by sea or air. City harbor and surrounding little ports offer berths for boats and yachts, while nearby marina at Punat, on island Krk, offers winter berthing facilities. 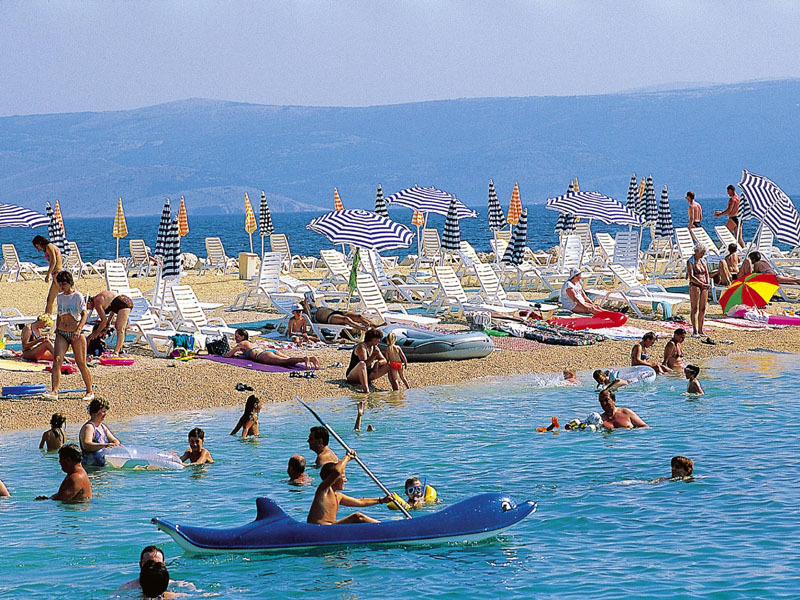 Just 20 kilometers from Crikvenica, also on island Krk, there is international Airport Rijeka. Due to the favourable position of Crikvenica and its being sheltered from strong winds from the north due to the slopes of the mountain of Kapela and from the south due to the island of Krk, its climate is mild and relaxing. The characteristics of the climate of this region are dry, fair and pleasantly warm summers and mild winters with a healthy local system of winds. The amplitude between the minimum and maximum average annual temperature is small. The annual average of temperature is 14,2oC and the average summer temperature is 23,6oC. Snow, fog and temperatures below 5oC are very rare. The temperature of the sea during the summer does not exceed 27oC. The sea air distinguishes itself in terms of purity and dispersed desirable oligominerals and there are no noxious pollen allergens or waste gases.